major bureaucracy reshuffle under the new regime headed by Narendra Modi, indicating that the new PM may engineer further changes among the bureaucrats' positions at the top. Takru, a 1979 batch IAS, was former FM P Chidambaram’s choice, first as financial services secretary and then as revenue secretary. Chidambaram chose Takru after reportedly interviewing a few IAS officers of his batch after they got empanelled. 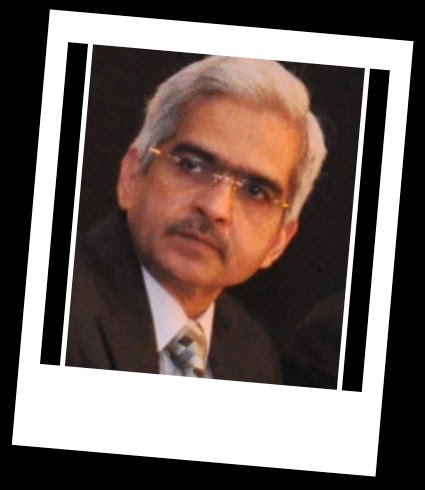 Shaktikanta Das, currently union fertilizer secretary, was joint secretary, then additional secretary and then special secretary in the ministry of finance between November 2008 and December 2013. Initially, Das was with the department of expenditure and then in department of economic affairs (DEA) – both under the ministry of finance. As someone having worked as joint secretary (budget) earlier, Das knows in and out of the budget-making process, something seen as the Modi government’s first big challenge. Das, an Oriya, is a post graduate in history. In his three and half decades long career, he has however taken up a number of responsibilities related to economic ministries. He also worked as Tamil Nadu’s industry and revenue secretary. As the revenue secretary, Das will now be the official custodian of all documents that finance ministry has succeeded in procuring on black money stashed away by Indians in foreign bank accounts, according to the recent directive of the Supreme Court. Already, Special Investigating Team (SIT) headed by former judge of the Supreme Court of India, Justice MB Shah, has begun probe to unearth black money stashed abroad. In the run-up to the election, Modi promised billions of dollars of black money stashed away abroad would be brought back to India, if the NDA comes to power. Maybe, Das will be a key bureaucrat playing a role in this regard. He will retire in February, 2017. It is an expected change. Mr. Takru has started meddling in the internal affairs of the CBDT & CBEC. He has exceeded his brief. Eventhough an RS does not have much powers Takru tried to usurp some to himself to the detriment of IRS officers. Hope the long pending demand of the IRS lobby to appoint an IRS as RS or upgrade the status of CBDT & CBEC to Department of GOI and make their Chairmen ex-officio Secretaries to GOI is accepted. This will do a lot of good to the country and the Modi government. The earning members of the family deserves some respect. Many times such argument has been put forth by IRS officers that Revenue Secretary should belong to IRS Service. This has its pit falls. It is not very wise to have Secretary, Members of Board etc. all manned by the same Service. Scope for having entry of fresh talent by way of deputation needs to be introduced. Posts of Secretaries are General Central Service posts and thus anyone from any service can be appointed. I would like to cite example of Department of Posts. 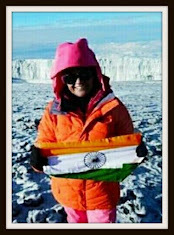 The Secretary belongs to Indian Postal Service, so do all the Members of the Postal Service Board. There is no deputation posts and all cadre management, transfer postings done by the service itself. The doors are closed to everyone. Even the demand to restore post of Member(Finance) in the Postal Service Board with an IP&T Accounts & Finance Service has not been agreed. For years there has been a demand to open up the service and en-cadre the posts of DDG(Personnel), Director(Staff), DDG(Vigilance), Member(Personnel). But nothing has moved. Similarly there has been demand for having an outsider as Secretary Posts so that fresh ideas can flow. The demand for restoring deputation post of Secretary (Postal Services Board) which controls administration and cadre of CSS in Department of Posts to deputation post has also fallen on deaf ears. Result ? Today an ordinary letter takes 35 to 40 days to reach its destination & that too is not guaranteed. Public has lost faith in Postal system. Now expensive Speed Post has to be used. In good old days an ordinary letter used to reach within 3 days. The Postal management refuses to accept this ground reality. I request your readers to experiment by posting a letter to their friends and count the number of days. You will then agree with me. Therefore all Departments need to be opened up & free flow of ideas needs to be encouraged. I completely agree to suggestion of Lok Nath Mehra for opening up the posts of Secretaries to GOI for fresh talent and for new ideas to come in. But opening up doesnt mean giving the Secretary level posts to IAS. Mr. Mehra your argument will be distorted by IAS. Your first two lines will be taken to prevent Central Service officers from heading their own departments. But your other arguments will be left by the way side by the IAS lobby. So when you give some suggestions please be careful. I sincerely hope you are commenting with a open mind. Also Mr. Mehra please argue for opening up the posts of Chief Secretary, Collectors and Cabinet Secretary to all services to infuse fresh blood and fresh ideas. Please go ahead and give your views here. Excellent suggestions putforth by Shome committe !! They have recommended abolishimg the post of revenue secretary and upgrading the status of cbdt and cbec to depts of GOI. This is actually the need of hour and this piece has come out at right time when the prime minister of the country is open to novel ideas and policies. Let the prime minister take the call and lets hope that these suggestions will be implemented as early as possible for the good of the country. This is good news to IRS officers when they have been arguing for the same and their claim has been now supported by the expert shome committe. My suggestion is all officers from civil service exam having 25 years of service should be made eligible to appear in a written exam and interview for post of Secretaries to GOI and equivalent posts. all officers irrespective of service can give exam, brush up their knowledge and compete for the post. you will have younger, intelligent officers for the post. draw up a merit list and give posting accordingly. at present old spent forces having so many ailments, diabetes, hypertension, heart problem and what not with huge medical bills occupy posts by virtue of seniority and based on inflated APAR gradings earned through sycophancy. this method will end superiority of services and merit will gain supremacy. All of you please go through the Shome committee report. What an excellent report. If it is implemented in toto, the tax administration of the country will improve a lot. Tax payer services will improve, compliance cost comes down, investment climate will improve, tax disputes will reduce, bureaucratic ills will be minimized, red tape will reduce, corruption will reduce, administration will improve, accountability & responsibility will be ensured, tax revenue will increase and hegemony of IAS (the root cause of all ills in the country) will reduce.